For thousands of years, the prophet Moses was regarded as the sole author of the first five books of the Bible, known as the Pentateuch. According to tradition, Moses was divinely directed to write down foundational events in the history of the world: the creation of humans, the worldwide flood, the laws as they were handed down at Mt. Sinai, and the cycle of Israel’s enslavement and liberation from Egypt. However, these stories—and their frequent discrepancies—provoke questions: why does the first chapter in Genesis say that man and woman were made in God’s image, while the second says that woman was made from man’s rib? Why does one account of the flood say it lasted forty days, while another records no less than one hundred? And why do some stories reflect the history of southern Judah, while others seem sourced from northern Israel? Originally published in 1987, Richard Friedman’s Who Wrote the Bible? joins a host of modern scholars who show that the Pentateuch was written by at least four distinct voices—separated by borders, political alliances, and particular moments in history—then connected by brilliant editors. Rather than cast doubt onto the legitimacy of the Bible, Friedman uses these divergent accounts to illuminate a text that was written by real people. 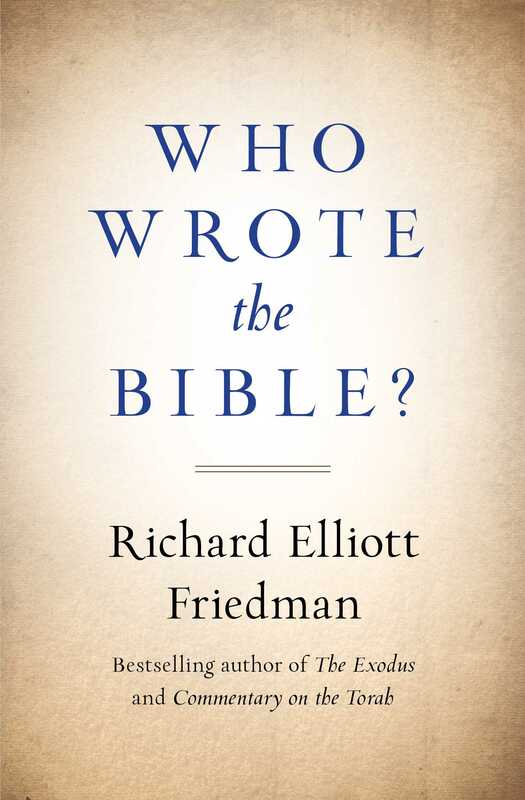 Friedman’s seminal and bestselling text is a comprehensive and authoritative answer to the question: just who exactly wrote the Bible? Book Cover Image (jpg): Who Wrote the Bible?